Radiation oncology community plan seeks accreditation, anonymous reporting, and nonpunitive system to minimize therapy errors. American Society for Radiation Oncology (ASTRO) President Anthony Zietman, MD, does not resent the series of articles in The New York Times in January 2010 chronicling radiation therapy errors that ultimately led to the deaths of two cancer patients. Rather, he believes they can be transformative for the field of radiation oncology, which has been expanding at breakneck speed. “What The New York Times described is something we all feared might happen but weren’t sure whether it had or hadn’t yet,” he says. With such occurrences confirmed, Zietman says the articles should give impetus to some of the safety measures that ASTRO and the American Association of Physicists in Medicine (AAPM) have been advocating for numerous years—and now more strongly than ever. The first New York Times article on the radiation therapy errors appeared one week before the ASTRO Board of Directors’ winter meeting. As a result, the board members agreed to scratch the planned agenda, says Zietman, of Massachusetts General Hospital and Harvard University. The group shifted its focus to “What can we do about this?” The result was a six-part quality assurance plan that ASTRO members are working hard to make a reality, according to Zietman. • creating a national database for the reporting of linear accelerator- and CT-based medical errors. Some states, including Massachusetts, where Zietman practices and teaches, have reporting requirements for errors and glitches. But not all states do and there is no national database. Without a national database, several incidents could occur before anyone spots a pattern and raises an alarm, Zietman says. The point of a national database, he adds, is not to assign blame but to record data. “What a national database would do is look for trends. Is it a certain kind of facility that has errors? Is it a certain kind of machine producing trouble? Does it have to do with levels of staffing? We can’t answer those questions but having a national database where everyone reports errors—perhaps even close calls—is a fantastic way of getting answers and quickly,” he explains. • launching a significantly enhanced practice accreditation program and developing additional accreditation modules specifically for some of the new advanced technologies in radiation oncology such as intensity-modulated radiation therapy (IMRT), stereotactic body radiation therapy, and brachytherapy. ASTRO and the ACR have a joint accreditation program, but it is entirely voluntary. 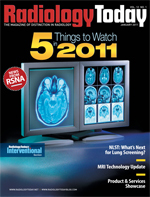 The number of institutions requesting accreditation is rapidly increasing, Zietman says, “because they want to be able to assure their patients that they’ve been through the rigorous process and passed.” It would be impossible to immediately mandate accreditation as there are not, at present, a sufficient number of surveyors to visit and scrutinize the hundreds of radiation facilities in the United States, Zietman says, but that ultimately would be the goal. Members of Congress are calling for accreditation, and it is likely to become mandatory at some point. The Consistency, Accuracy, Responsibility, and Excellence in Medical Imaging and Radiation Therapy (CARE) bill has been languishing in Congress for several years. The bill would require that staff of radiologic imaging and therapy facilities be credentialed and that the facilities themselves be accredited. Credentialing and accreditation confirm that the staff and the facility have met at least the minimum standards of competency for their field. “The events reported in The New York Times and elsewhere have breathed life back into the CARE bill,” Zietman says. • further developing ASTRO’s Integrating the Healthcare Enterprise-Radiation Oncology connectivity compliance program to ensure that medical technologies from different manufacturers can safely transfer information to reduce the chance of medical errors. ASTRO is offering its members’ expertise to policy makers and working with members of Congress on legislation and as resources for the National Institute of Health’s Radiological Physics Center to evaluate the safety of treatments. Like ASTRO, the AAPM supports a national database for reporting errors and the accreditation of facilities and credentialing of healthcare team members. Accreditation and credentialing assure patients that the caregivers follow the national consensus for best practices, that staff are properly qualified, and that staffing levels at the facilities where they are being treated are adequate, Herman says. Herman says there’s precedent for such requirements. Under the Mammography Quality Standards Act, all mammography facilities in the United States must meet stringent quality standards and be accredited by the FDA and the Medicare Improvements for Patients and Providers Act requires facility accreditation to receive reimbursement from the Centers for Medicare & Medicaid Services. He’s hopeful that Congress will enact similar legislation for radiation oncology. The AAPM also supports a national reporting database for medical errors in radiation oncology. “What we need is a single, quantitative reporting system that can be used for all events—one that is easy to use, universal, anonymous, and nonpunitive,” Herman says. It must be nonpunitive, he says, so people won’t be afraid to report errors and lawyers can’t use it to pursue lawsuits. The Federal Aviation Administration (FAA) has an anonymous system for the same reason, Herman says. If the FAA has it, there’s no reason it couldn’t be similar for radiation oncology providers, he says. The AAPM also advocates improving the FDA review process for manufacturers, Herman says. “We know the 510(k) process is complicated, and there’s pressure to do things quickly and get equipment to market,” but it would be helpful if test data were more uniformly reported in 510(k) filings, according to Herman. Applications can be thousands of pages long. “Requiring a brief summary up front where we who are using the equipment might want to look for potential safety problems might help,” he says. The FDA, users, and manufacturers need to work together to make the review process more transparent, Herman says. Manufacturers are required to present some of the information the AAPM believes would be helpful, such as what happens if a physician or technologist does something foolish during treatment or a piece of equipment is out of balance. Earlier this year, the AAPM, ASTRO, and the ACR formed a radiation therapy task force that has met and continues to discuss patient safety issues. The task force’s goal is to help the various groups work cooperatively toward achieving improved safety in radiation therapy. In addition to supporting credentialing, accreditation, and event reporting, the group is helping develop white papers on best practices for specific procedures, including high-dose brachytherapy, IMRT, and image-guided radiation therapy. “All of these procedures can be pretty high tech and can be very complex and have to be done under time pressure,” Herman says. ASTRO is spearheading the white papers that will be a step by step of “here’s how to do it and who should do it,” Herman says, noting that the writing groups include ASTRO and AAPM members. The documents are works in process—some are under review and should be released soon, he says. Zietman and Herman believe the organizations working with the FDA and other agencies as well as the manufacturers can do something that will make a difference. Zietman says when the articles first appeared in The New York Times, they created deep discomfort for those in the field. “Patients were coming to us and saying, ‘How do I know you’ll radiate the right bit?’” he explains. The good news, Zietman says, is that the specialty has not buried its head in the sand in response to the articles. Rather it’s come out fighting—looking for answers and better safety and quality assurance procedures, he says.